In a little over two months the great and the good of the global IP community will gather in Boston for this year’s IPBC Global. Among another stellar speaking faculty at the event is Uber’s head of IP John Mulgrew who will speaking in the CIPO scenarios plenary. Recently he spoke to IAM to lift the lid on his role and talk about why IPBC Global is a must-attend event. Can you describe your role at Uber and how it has changed over the 2 years you have been with the company? I have the best job at Uber as lead of the IP team. When I joined 2 years ago, one of our primary objectives was to build a high-quality patent portfolio that reflected the features and innovations found in our products and to protect the company’s brand during its rapid expansion. The team continues to have these core goals, but its role has expanded to include greater cross-group collaboration of legal support for the business and proactive measures to mitigate IP risk. What has been a major focus of your work at Uber in recent months? Are there any particular challenges in the IP industry that you have been focusing on? build external relationships that enable us to better achieve goals 1 and 2. At a high level, our focus on clearing IP risk has been on pivoting towards being more proactive in addressing potential risks. We are actively involved in organisations like the License on Transfer Network (LOT), Open Invention Network (OIN), and Allied Security Trust (AST) where we participate in a larger community of companies working together to resolve risk. We also are investing in data analytics capabilities that will improve our ability to spot and assess IP threats. We also are focusing on improving our processes in order to operate at higher scale without having to significantly grow the team. With respect to protecting Uber’s innovations, our focus has always been on protecting technologies that differentiate Uber’s offerings. Our focus on building external relationship spans across three groups: (1) governmental agencies, (2) industry peers, and (3) professional associations. Before your role at Uber you worked at a law firm, how has the transition of moving back to an in-house role been for you? I feel at home both in a law firm environment and in house. There are pretty big differences between the two roles, but the experiences I’ve gained from each role has helped improve my ability to do the other one well. Two things I enjoy about working in-house are the opportunity to be involved in early-stage strategy and the ability to try new ways to solve problems. When I returned to private practice after ten years at Microsoft, I really enjoyed the opportunity to work with different clients facing different challenges, and because of my in-house experience I was more focused on helping clients achieve ultimate goals instead of simply executing tasks. One thing I’ve learned from both roles is that it’s critical to build a strong team. How does IPBC Global help to facilitate IP value creation discussions? IPBC is one of the best events to learn about trends that are forming across the industry and what people are doing in response to them. It’s also an excellent place to discover opportunities to collaborate with peers who are facing similar challenges as you. Why do you choose to attend IPBC Global? What is the value to you and other attendees? One of key advantages of IPBC Global is that it is a who’s who roster of attendees who are shaping the future of our industry. Every event I’ve attended is excellent at representing the full spectrum of thought on issues discussed. I know I’m always going to learn something valuable that I can apply to my own practice. IPBC Global events also provide fantastic opportunities to catch up with colleagues and discover opportunities for multiple companies to work together. If you were to make one prediction about how IP management strategy is likely to develop over the next few years, what would it be? We are just at the beginning of seeing how machine learning and data analysis be used to improve the quality and focus of a portfolio. Technological developments are going to transform our practice. I am looking forward to it and want to be a part of this change. 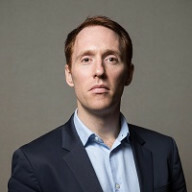 John Mulgrew is the head of IP at Uber and will be speaking at this year’s IPBC Global which is being held in Boston June 16th-18th. You can see more details about the event, including how to reserve your delegate place, here.